Friend, mentor and church planter Kit McDermott posted this “Manifesto of True Freedom” on his blog yesterday. It is from a retreat Kit and his wife recently led. I think it is quite powerful — I printed it out for my journal and my Bible… and am re-posting it here. 8. By the grace of God, and of my own accord, I __________________. 9. By the grace of God, and of my own accord, I __________________. We simply don’t get it. We think we have grace all figured out. But we are wrong. Our thoughts on grace are sub-par and screwed up. I think sometimes God may wonder what the heck are they doing down there? We proudly pump up second, third and fourth chances around here. Maybe 70 x 7 if we get REALLY RADICAL! But God says billions upon billions. Again and again and again I forgive you…so do the same for each other. But unfortunately our relationships are infected with the disease of incrementalism. A sprinkling of grace there…a pinch of mercy over here…partial forgiveness for that dude that screwed us. Revolution doesn’t happen through bringing the crumbs and the bits. What the world desperately needs are grace extremists, not a community of incrementalists where our next door neighbors, co-workers, and enemies would barely notice. And the results so far…well…they can only reflect what we truly believe. Perfectly mediocre…and lacking the supernatural. I write this for Mike Foster. And maybe for you too. God forgive us for our smallness and timidity. YOU IN AS A GRACE EXTREMIST? I am. 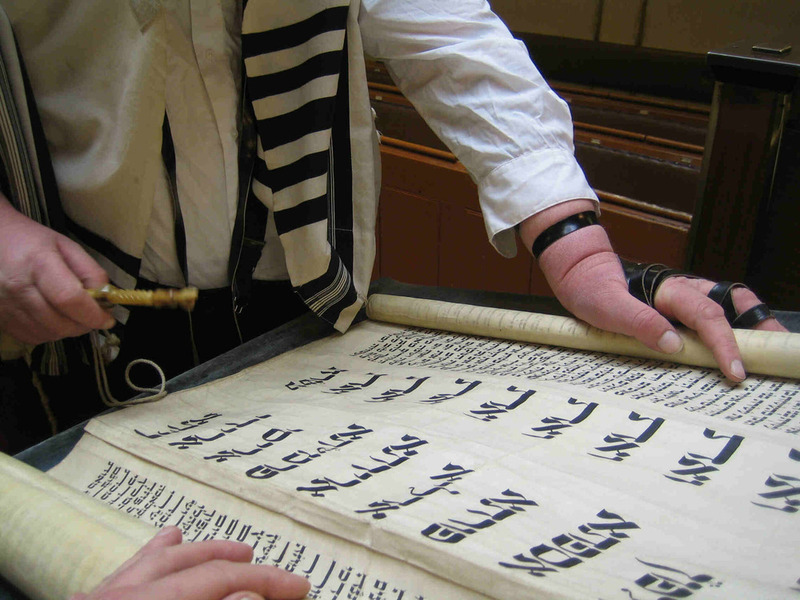 This weekend marks the celebration of Purim on the Jewish calendar. The story of Purim is found in the Book of Esther. It is a great story — but the thing I love most about it is the reminder that God will use the most unlikely ordinary people to do most unlikely extraordinary things. Esther is a peasant Jewish girl — and yet she became the key to saving God’s people! God has always specialized in using the least likely, disenfranchised and overlooked to achieve his goals and purposes. That is a good word of encouragement for me tonight. I have had lots of time to pray, reflect and journal this week while I have been home sick. It has been good to have some time and space to process some of what God has been doing in my heart the last few months. Sometimes I am better at engaging my mind (hermeneutics, biblical texts, etc) than my heart — or at least better at expressing my mind more than my heart. – I am really looking forward to a 40-hr/wk job (hopefully 5 days a week) and not having school. I am tired of always being tired and really longing to have time outside of work/school for life — relationships and hobbies and reading and walking outside and just hanging out. When in full time ministry, it was easy to justify the crazy hours — and I was committed to helping others experience great relationships, life, etc. But even then, it wasn’t a great idea. Maybe I am getting old… or just a little beat-up by life… or maybe I am gaining a more mature perspective… but I am longing for balance, relationships and the stuff of life that doesn’t happen “on the clock”. – I am going to have to make some practical and difficult decisions in the coming weeks/months to help bring more balance into my life. My head is not yet where my heart is, lol. Part of this is changing long patterns in my life… but it is a process that I am committed to. – For the first time in my life, the idea of having a family holds a lot of appeal to me. To those who have known me for a while, that will come as a bit of a surprise. I have always said I have no interest in marriage, kids, etc. Again, maybe it is because I am older… or maybe it is the experience of the last 8 months… but I find my heart longing for a partner and my dreams including the idea of family. (Now don’t get too excited… this too may pass, lol). – Again, for me, being in full time missional ministry made being single, not having a partner or kids, etc, possible. There is a lot of truth in what Paul says about the gift of singleness in ministry. But there is also a great cost. For me, the pay off of deep, significant and lasting community was enough to cover the costs of not having those things. But it turns out that community is not lasting and not as deep as I thought it was. When you take that out of the equation, the costs of singleness seem too high (for me). So these days, my heart longs for a partner to share life and ministry with (whatever that ministry looks like) and the idea of raising a family, having a real home (people, not place) and all that goes with that… these are my prayers. – God continues to grow my heart — especially for those who suffer injustice and for those who, for whatever reason, consider themselves beyond His love. I don’t know how this will play out for me, but I can not escape the burden God has placed on my heart. – The only metric I care about these days is relationships. My relationship with God and with others. Those are the things that will last for eternity and what I am willing to sacrificially give to. – I like the things God has been whispering to me lately. Most are between me and him (and thus not blogged about). But His daily whisperings sustain me and bring me joy… and for that I am thankful. So that is some of what God is speaking to me and teaching me these days. Still processing a lot of it. Hard stuff. Good stuff. Exciting stuff. Sadly, this quickly becomes an infinite regression. The church’s inability (or, more precisely, choice) to not love its members unconditionally as they are is part of the failure of the church that I think we must love through. And vice versa. So I realize my answer is not sufficient… for it gets us no where. But the church doesn’t get a free ride either. Because the church isn’t actually something other than us. It is us. Simply a corporate representation of us. And as such, I think it is held to a higher standard — one presumes that the corporate and collective wisdom of the whole will be stronger than that of the individual. It is amazing how often I have heard “The church decided that… that was the churches call…” etc etc — as if the church is some separate entity. We are church. Church, outside of we, is nothing. The failure of the church is your failure and mine. So yes, we should love the church unconditionally… while working for it to become all it can be. But when it fails to be that, make sure we start with the mirror and not finger pointing.